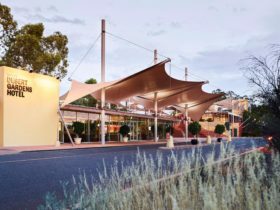 Offering traditional Australian outback hospitality, Outback Pioneer Hotel and Lodge at Ayers Rock Resort offers a range of budget accommodation options, from comfortable, affordable hotel rooms through to hostel-style dormitories and a camping ground. 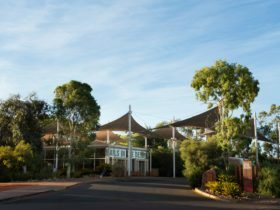 Combined with all the luxuries of the surrounding hotels within the resort, Outback Pioneer Hotel and Lodge is ideal for families and backpackers. 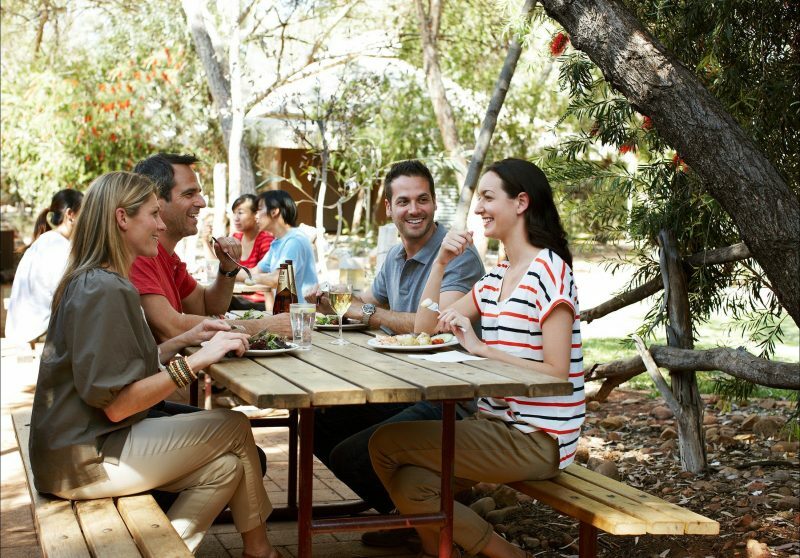 Taste Australia’s pioneering past, as you enjoy a beer at the do-it-yourself outback barbecue. 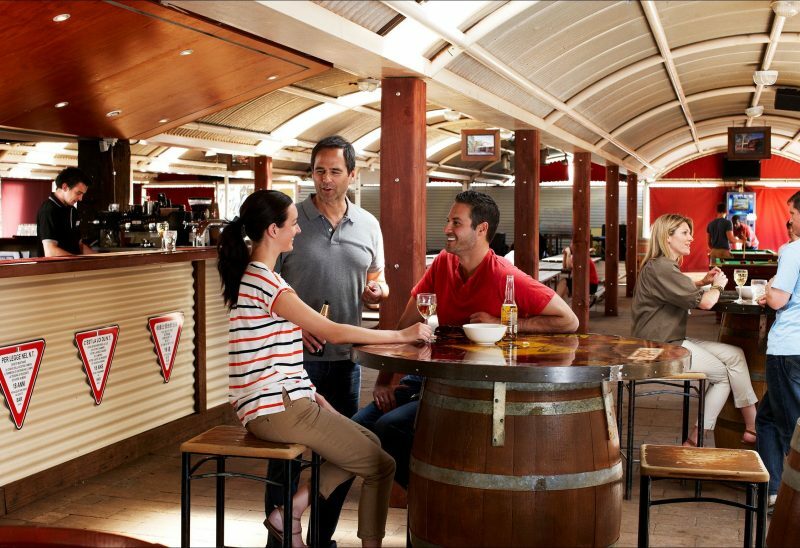 Swap stories of your day’s adventures, or sing along with the nightly entertainment. Alternatively, opt for the peace and quiet of the Bough House Restaurant over a la carte dining accompanied by a dessert buffet. 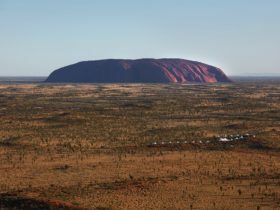 Join a guided tour to Uluru-Kata Tjuta National Park, home to Uluru/Ayers Rock and Kata Tjuta/The Olgas and witness magnificent sunsets and sunrise over the Central Australian desert from lookout points throughout the park. Walk the base of Uluru and discover once inhabited caves of the Anangu people, covered in ancient rock paintings. 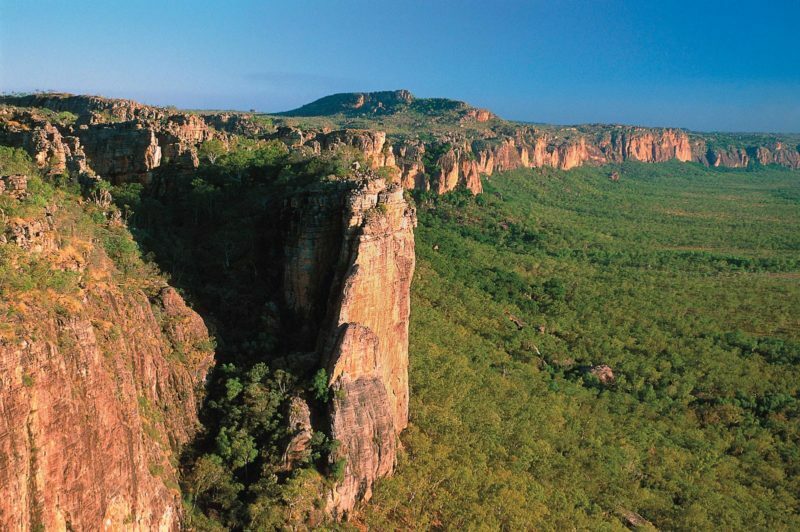 Ride a camel through the native bushland or take a scenic flight over the spectacular landscape. 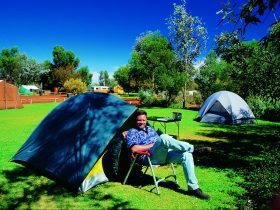 Comfortable accommodation with a pioneering charm are offered in the male dormitory. Comfortable accommodation with a pioneering charm and two bunk beds. Comfortable accommodation with a pioneering charm are offered in the female dormitory. Standard rooms are comfortable and spacious and feature one queen and one single bed. All rooms have private ensuite, mini-bar, television and movies on demand. Interconnecting rooms are available. Rooms feature either four single bunk beds or one double and one single bed and have a private ensuite bathroom. Tea/coffee making facilities and bed linen are provided. 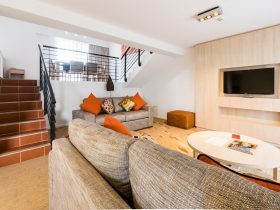 Guests have access to the common room with television and internet access, self-catering kitchen and laundry. 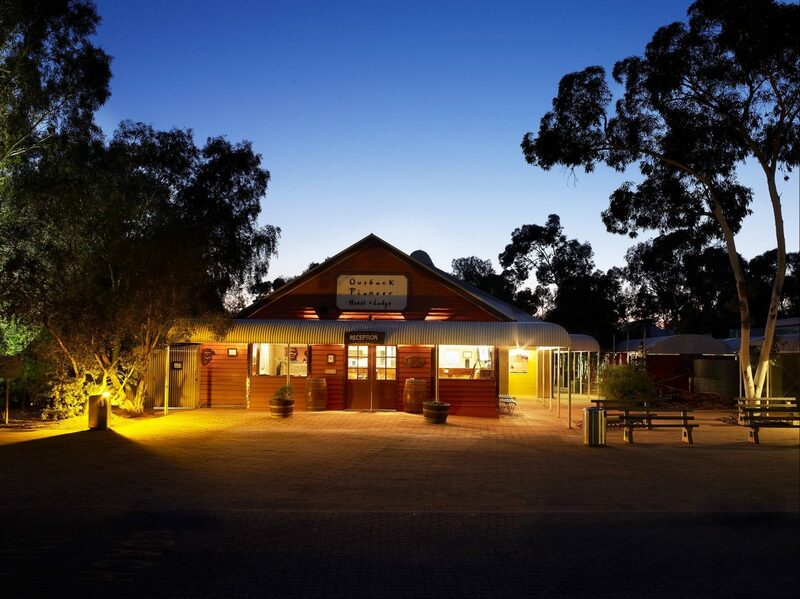 Please visit https://www.ayersrockresort.com.au/accommodation/outback-pioneer-hotel and https://www.ayersrockresort.com.au/accommodation/outback-pioneer-lodge for the most current rates available.